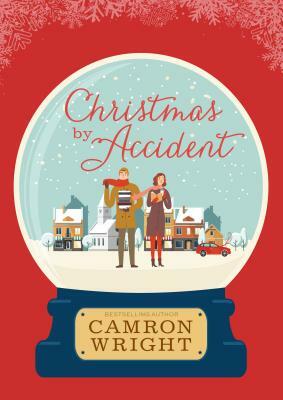 In this meet-cute holiday story, Carter is an uninspired insurance adjuster who likes to add a little zest to his mundane job by creatively embellishing his insurance accident reports. With Christmas around the corner, he finds himself scoffing at the holiday book display that seems to go up earlier and earlier each year at the quaint, New England family bookstore, the ReadMore Caf . Abby works for her uncle at the ReadMore Caf . She can't wait until October to build her favorite holiday store display: the annual Christmas book tree stack. After an accident totals her car, Abby and Carter are thrown together when he is the agent assigned to write her accident report. Can romance blossom between two people with very different views of Christmas? Or was their "accidental" meeting just happenstance? At the ReadMore Caf , there are no accidents where love--and Christmas--are concerned. Camron Wright earned a master's degree in writing and public relations. He says he began writing to get out of attending MBA school, and it proved the better decision. He is the bestselling author of The Rent Collector, The Orphan Keeper, and Letters for Emily.